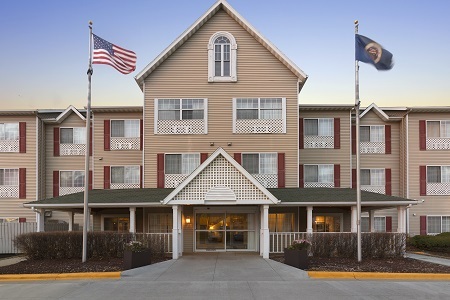 After touching down at Rochester International Airport, hop aboard our complimentary shuttle for a stress-free ride to the Country Inn & Suites® by Radisson, Rochester, MN. 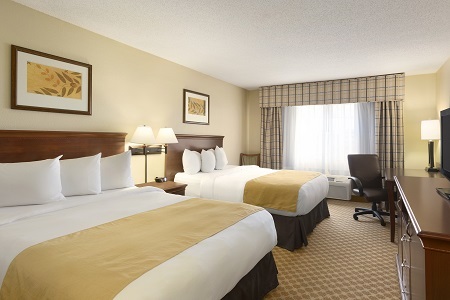 Our hotel is only half a mile off U.S. Route 63, giving our guests easy access to downtown attractions. Thanks to the free shuttle, you can conduct business at IBM or visit loved ones at the Mayo Clinic without worrying about transportation. If you’re looking for fun, use our free Wi-Fi to find the shopping center, golf course or movie theater that appeals to you most. At the end of a full day of meetings or sightseeing, retreat to the hotel for a soothing soak in the hot tub. You can take advantage of our laundry facilities to wash your wet swimsuit. While you wait for it to dry, grab a free cookie from the lobby and choose a bedtime story from the Read It & Return Lending LibrarySM. If you need to take care of some last-minute emails before turning in, don’t worry; our business center is open 24 hours a day. Traveling with family? 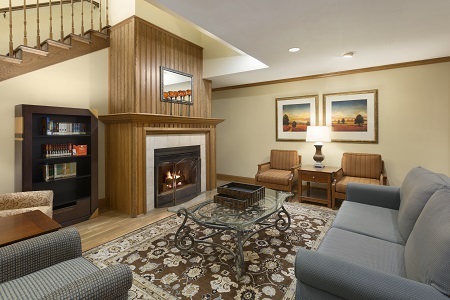 Our One-bedroom Suites allow you to rest peacefully in the private bedroom while the kids sleep on the pullout sofa in the separate living room. An extra TV and all standard amenities are included. 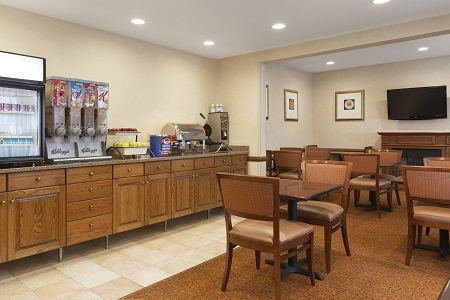 Start your day right with our complimentary, hot breakfast. Our friendly staff prepares golden waffles, sizzling sausage and fresh fruit every morning. For lunch or dinner, try a nearby restaurant like Daube’s Cakes and Bakery, a celebrated bakeshop and café where you can enjoy a savory sandwich, a hot coffee and an award-winning slice of carrot cake. Apache Mall – Find your favorite brands and bargains at the area’s largest indoor mall, located only an eight-minute drive away. With an abundance of retailers ranging from Aéropostale to Zumiez, you can find something for everyone in your family. Maple Valley Golf and Country Club – There are plenty of golf courses in Rochester, but Maple Valley is simply one of the best. This hidden gem is about 20 minutes south of the city and offers beautiful views of Root River. If you get a hole in one, you can join the wall of fame! Mayo Civic Center – Less than 10 minutes from the Country Inn & Suites, the Mayo Civic Center is home to a variety of events from medical conferences to WWE wrestling matches. Check the online calendar to see if one of your favorite musical acts will be performing during your stay.